Welcome to Producer Resources at MNN! Producer resources are divided into two sections. One section (Production Preparation) is dedicated to the creation of your content and other resources to help you make media. The other section (Navigating MNN) is devoted to helping producers reserve MNN's equipment and production facilities, schedule programs for air on MNN and work with the MNN marketing team to promote your program. Preparing your show for broadcast is more than just selecting the right shots and making sure the audio sounds good. Bring your show to the next level by adding music and graphics. Online Media Resource Sheet: A list of websites where you can find royalty-free images, music, editing tools and more. Xpression Templates: The MNN Xpression templates, developed by the MNN's Production department, are available on-site in all of MNN's studios for producers to use during their studio production. To download an Xpression templates how-to guide, click here. 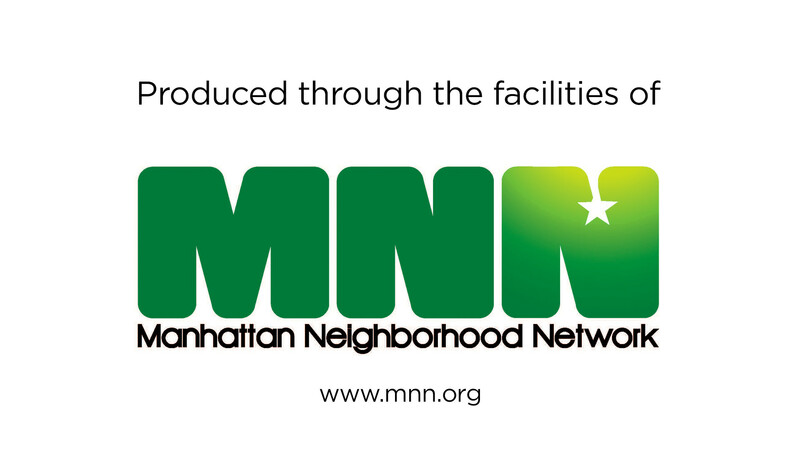 MNN Closing Graphic: All producers utilizing MNN’s facilities and equipment to produce their show must include a closing graphic at the end of their show that reads “Produced through the facilities of MNN.” You may also download and use the graphic provided here. Having an online presence is the key to successfully promoting your show. Build an audience and generate a conversation by sharing air dates, photos and clips from the show on your personal social media accounts or set up accounts specifically for your show. Twitter: Craft short 140 character posts about upcoming air dates, guests, topics and more. You can add short video clips, a photo or gif to make your posts more interesting. For logos and other brand resources, click here. Facebook: Give descriptions of upcoming episodes, share photos or upload short promos to get your audience excited about watching the show. For logos and other brand resources, click here. Instagram: Post photos or short video clips from the set of your show or a graphic that details when and where people can watch. YouTube: Upload show segments and promos to your own YouTube account. Share it with fans of your show or let people discover it on their own by tagging videos with relevant key words. Have ideas for your production, but can’t seem to organize them? The following resources will help you to put your thoughts on paper and create a solid script. Ready to start filming your production? Not so fast. Check out the following resources to make sure you’ve prepared for every aspect of your shoot. If you’re interested in purchasing or renting your own equipment, need dubbing services or media duplication services, look no further. We put together a list of places in Manhattan that may be helpful to you. To view this list, click here. You don’t have to stop learning after you leave the classroom. We’ve compiled additional resources to help you continue your media education. Review our course handbooks, watch video tutorials and check out other classes we recommend in the community. Need to brush up on something you learned in class? Refer to our handbooks for everything you need to know about operating the equipment and software used at MNN. Watch these tutorial videos our media education staff put together to help you when you're stumped or need some additional instruction. Lynda.com is an online learning platform and New York Public Library members are eligible for a free, premium Lynda.com account. Activate your free account by logging in here. For more information about Lynda.com from the New York Public Library, click here. If you're looking for more opportunities to build your skill set, check out these other media education facilities in Manhattan. Need some help getting started with your show? Learn how to reserve equipment, studios, and editing stations, find crew for your show and design your studio floor plan with the resources below. Making Reservations: Watch this tutorial to learn how to reserve equipment, studios and editing stations on Access Center. Crew Connect Tutorial: Watch this video to learn how to use Crew Connect, our online system where producers can request crew for their own shoots or sign up to crew on another producer’s show. Crew Connect Template: Use this form as a guide when creating posts on Crew Connect, our online system where producers can request crew for their own shoots or sign up to crew on another producer’s show. ​Lighting Look Book: Use this guide to help you figure out what tone you're trying to convey with your set design and the lighting you need to achieve it. For a list of the equipment offered in our facilities, click here. If you need to reach the Programming Department or the Production and Facilitation Department, click here. Before your show can begin airing on MNN, there are a few steps you need to take. Below is all of the information and paperwork you need to get your program scheduled. Submitting a Digital Show: Steps and requirements for submitting your show the Programming Department online. MNN Facility User Project Request Form: Once you have passed an MNN Education Department Certification Course, fill out this form if you would like to reserve MNN's equipment and/or facilities to create a program to air on one of MNN's Public Access Channels. Programming Agreement: Read our terms and complete the programming agreement before submitting your timeslot request. MNN Timeslot Request Form: Use this form to apply for a single show to be played once on MNN's channels or a series to be played daily, weekly, bi-monthly or monthly. Quarterly Series Deadlines: Read for important dates about when to renew your show for the upcoming quarter. Promoting your show doesn’t have to be a one person job. MNN’s Marketing Department is here to help! We love to feature our community producers on our website and social media pages and invite you to share your content with us! This Week on MNN: Fill out this form by the Sunday before your show airs to be included in our weekly online feature about upcoming programs on MNN. Featured Videos: Share clips from your show or full episodes with us here for a chance to be named “Producer of the Week” and have your video posted on our website. Don’t forget to follow MNN on Facebook, Twitter, Instagram and YouTube to see how we’re sharing your content!